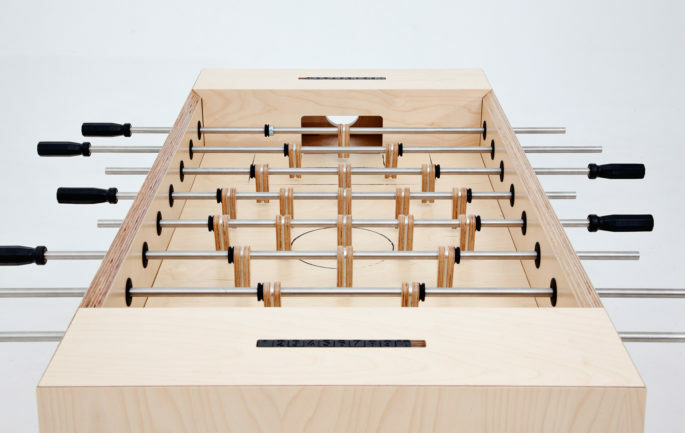 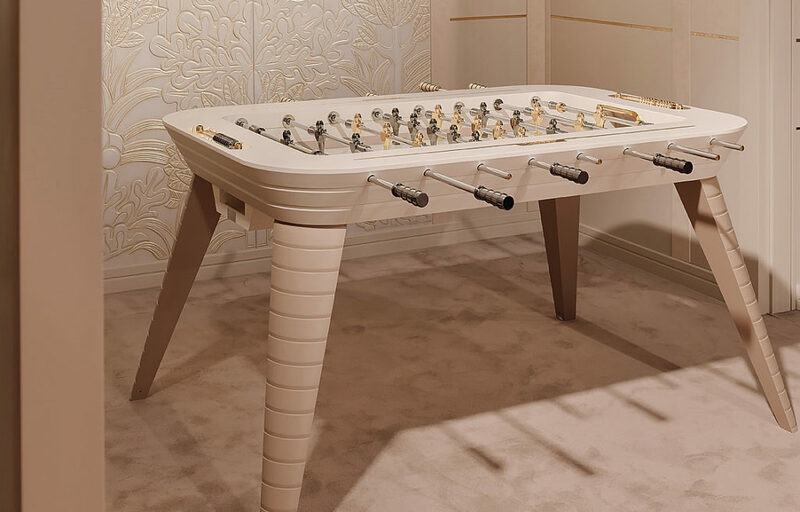 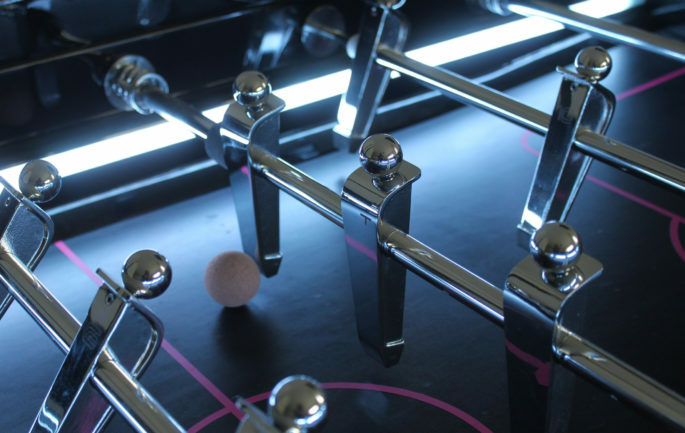 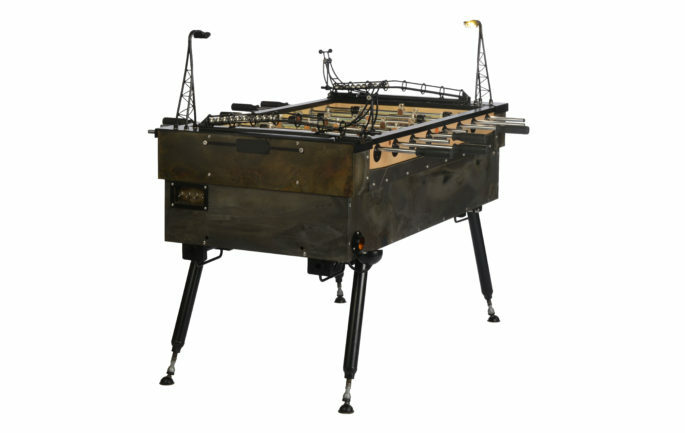 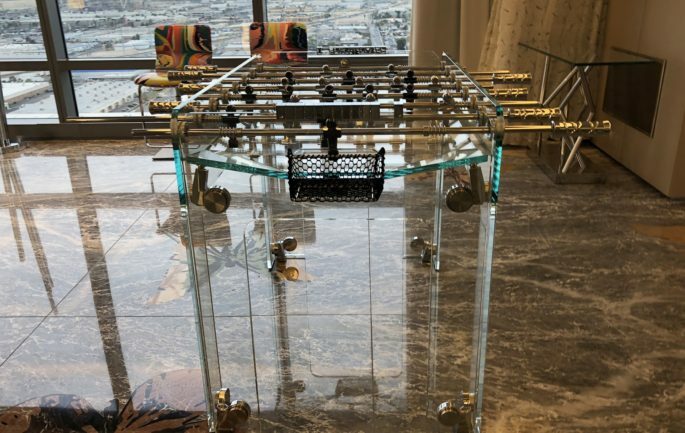 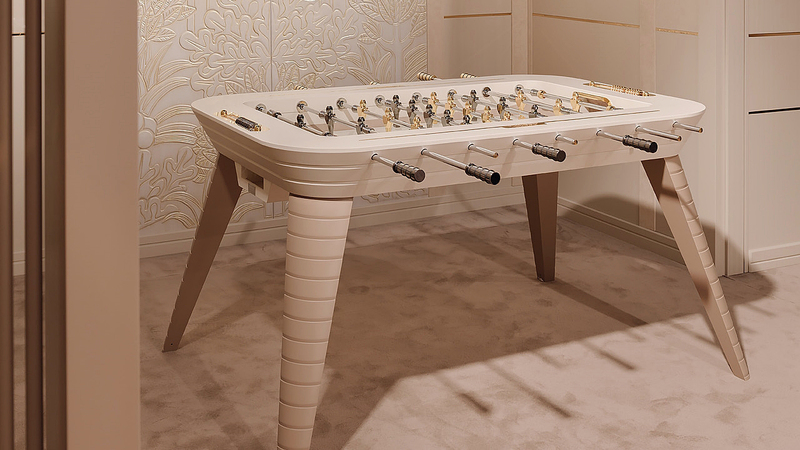 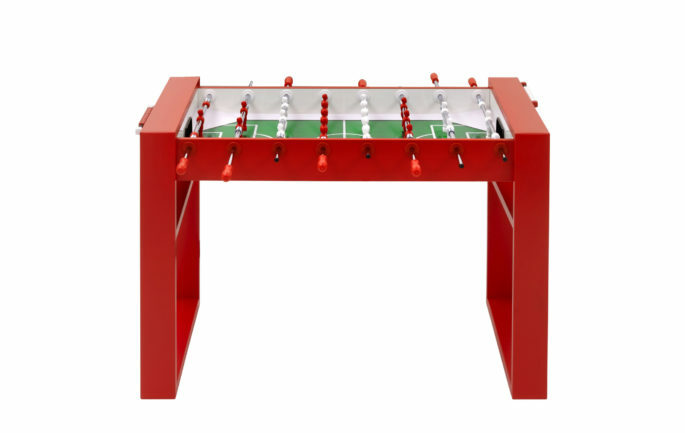 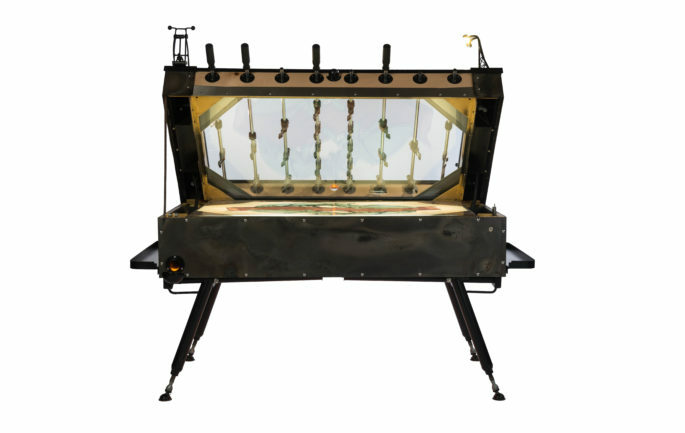 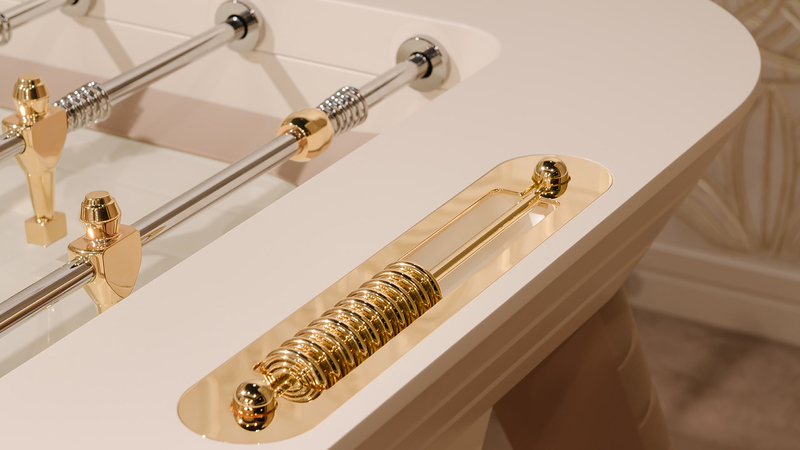 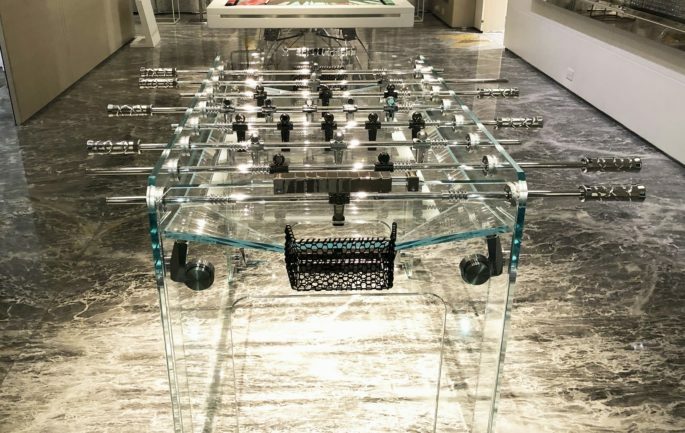 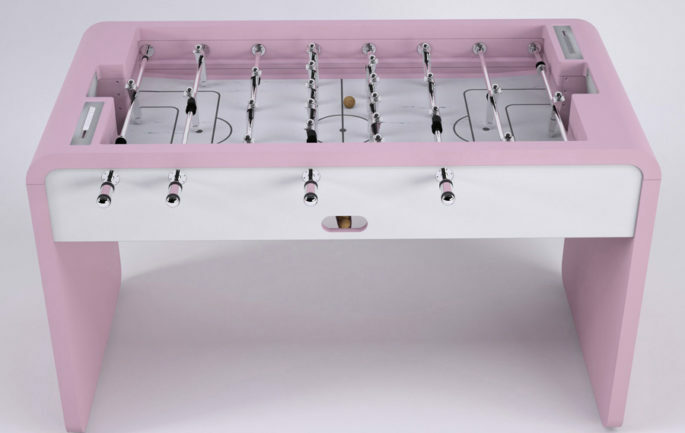 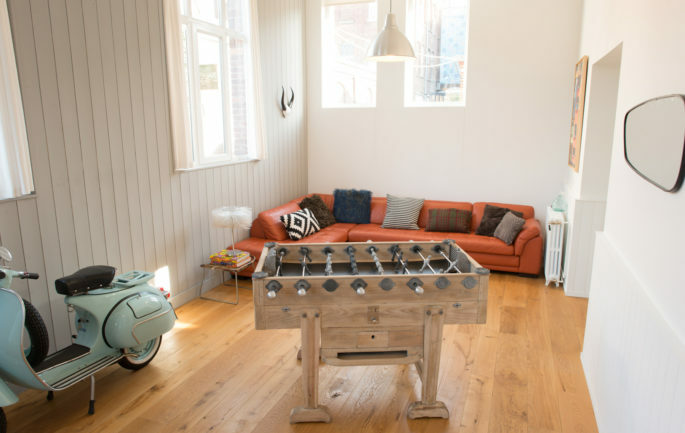 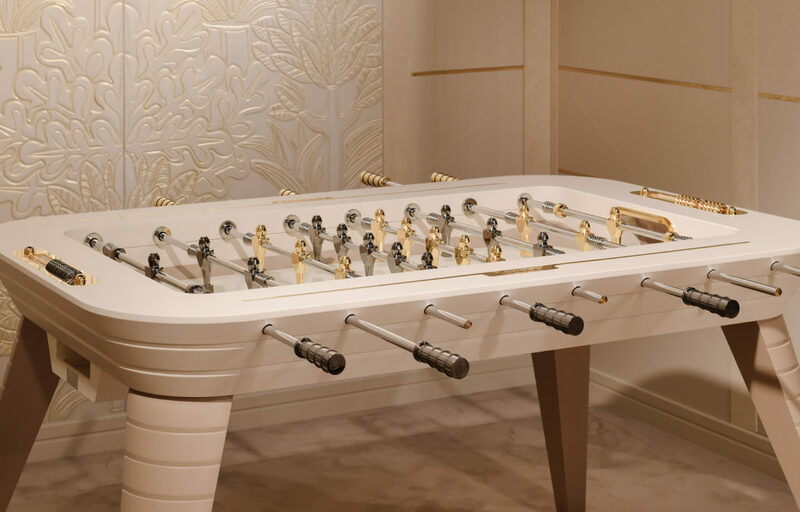 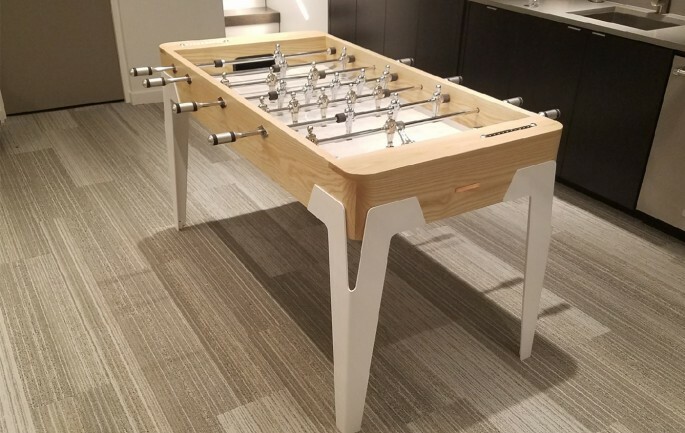 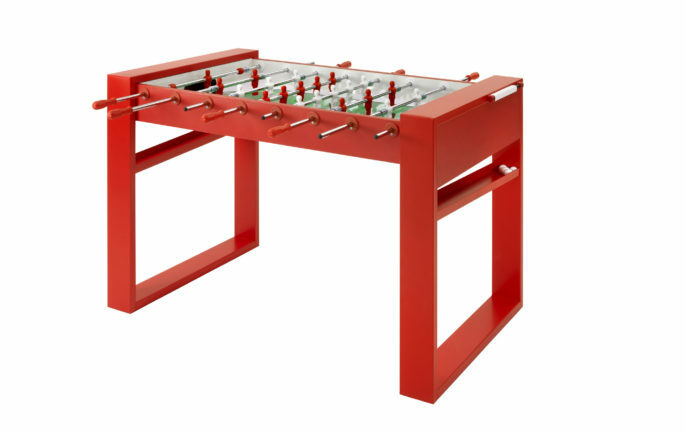 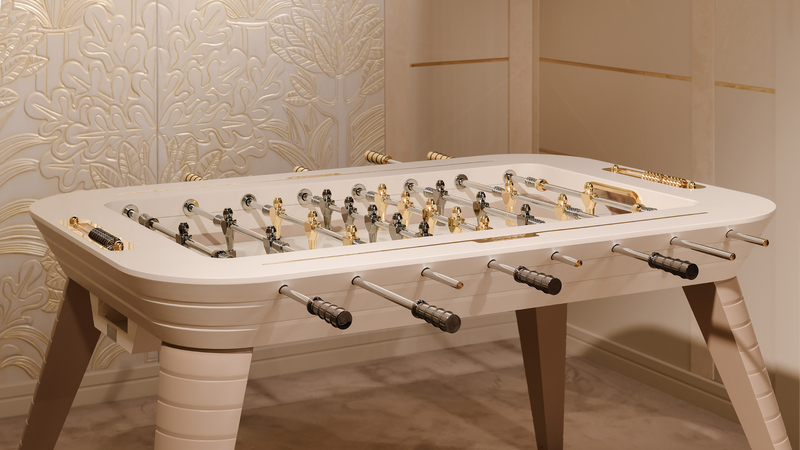 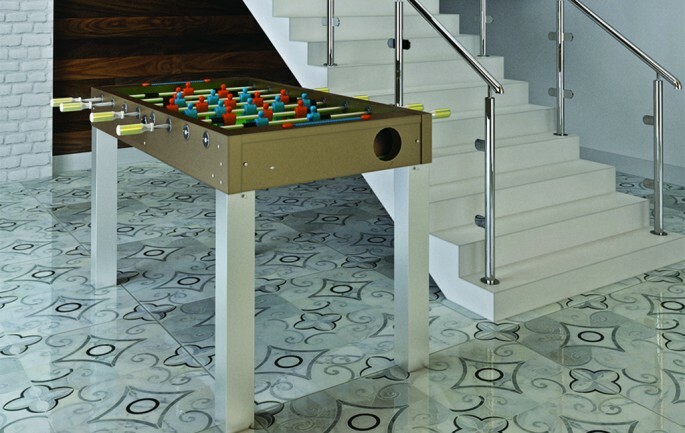 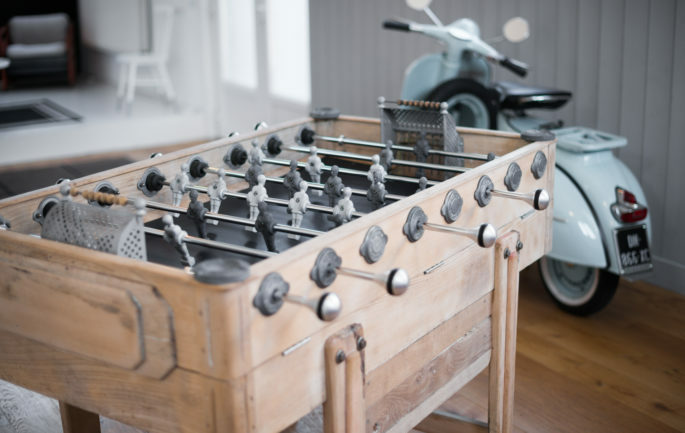 Luxurious art deco foosball table with gold accents. 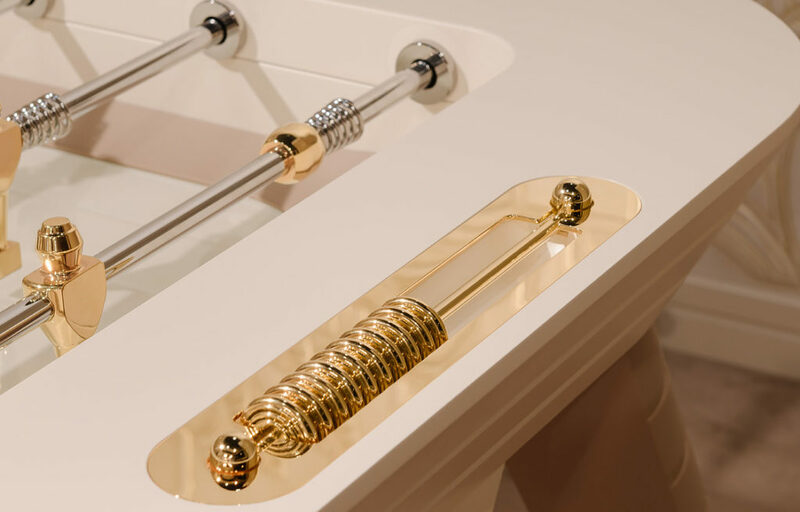 Unlimited customizations. 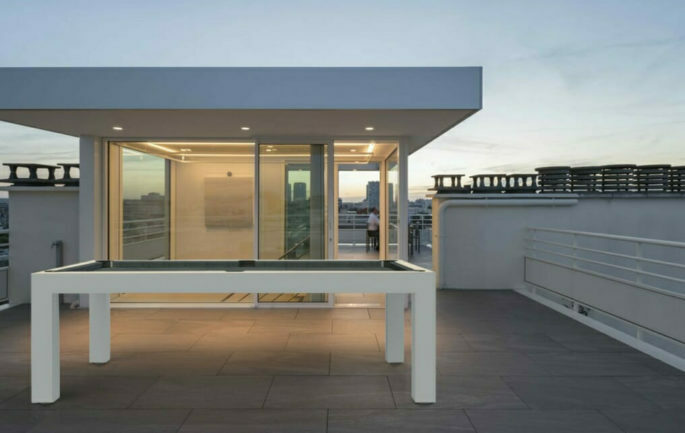 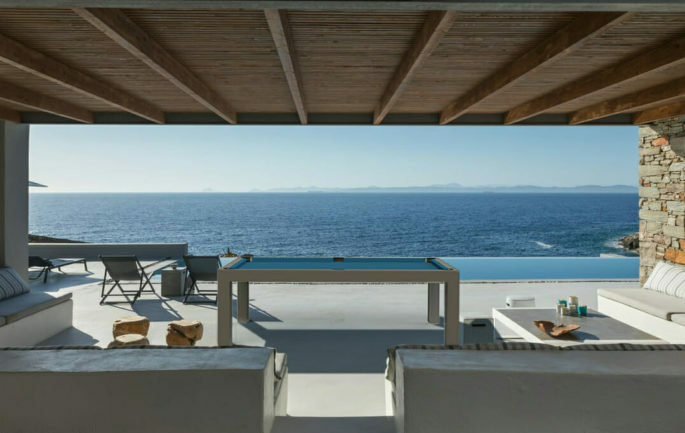 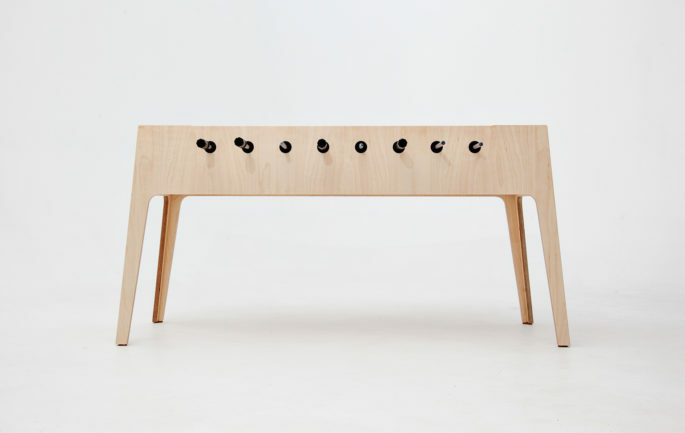 Select from any RAL color for the top frame and legs. 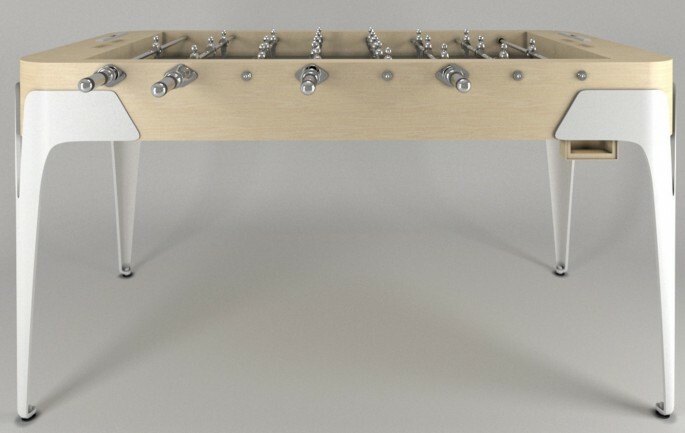 The team members can also be a different metal finish.